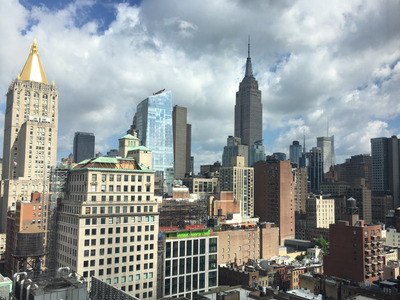 Matt Rosoff/Business InsiderThe first Airbnb I stayed at with my family was on the 20th floor of a doorman building with this view. It’s one thing to stay at the Ritz, or a vacation resort with a pool and spa and multiple bars. But the mid-range hotels used for most business travel depress me. 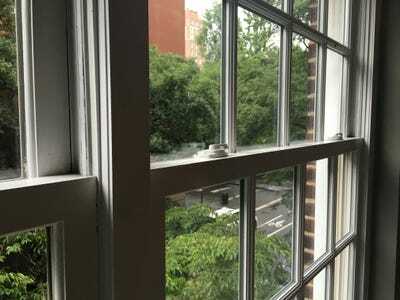 The rooms are usually small, generic, and impersonal. There’s often fluorescent lighting which makes everything look weird. The air conditioner is always too loud. And other travellers are stumbling in and out of the elevators at all hours. I never get a good night’s sleep, and end up going into work bleary-eyed. 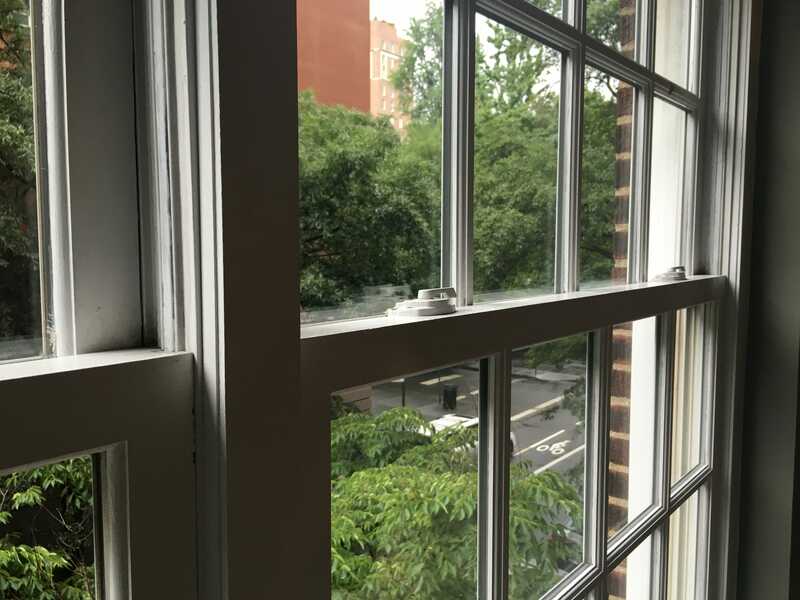 The studio near Gramercy Park was beautiful, with leafy trees outside and great amenities — Perrier water in the fridge, free day passes to local museums (which, sadly, I couldn’t use because I was on business), funky decorations, and one of those cool electric window shades. Matt Rosoff/Business InsiderGramercy Park on the corner. Sadly, the Airbnb didn’t come with a key to the park. From Airbnb’s end, the web site worked great, I was able to communicate easily with the hosts through texts and the Airbnb email remailer, and the pictures and descriptions were accurate. With one exception: check-in and check-out. The first night we got in really late from the airport, so there was a $50 cash surcharge because the cleaning woman had to stay late to give us the keys and show us the place. It seems unfair to have to pay extra just because our plane got in late. With a hotel, we would have just had them hold the room. Check-out was also a pain. At the first place, my family was going to wait in the lobby while I picked up a rental car to drive out of the city. But the woman checking us out told them they couldn’t hang out in the lobby, and sent my wife and two young children to stand on the curb with all their luggage instead. For my solo trip, the checkout itself was no problem. But one of my bags was heavy, and I needed to work part of the day before leaving for the airport. So I had to carry it a few blocks to the office. It gave me my workout for the day, but wasn’t much fun. Matt Rosoff/Business InsiderThese bags were a lot heavier than they look. I’ve never missed the bell service so much. 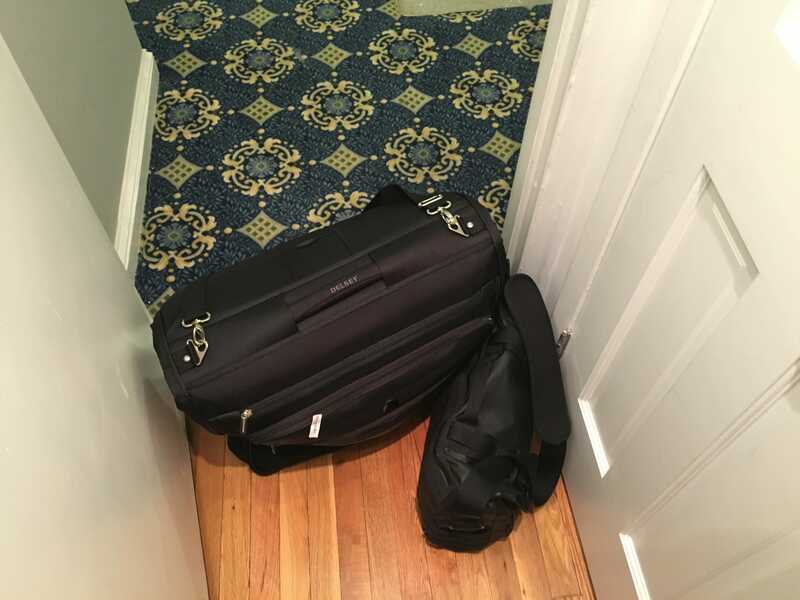 If Airbnb can solve the problem of getting travellers easier access to places, and giving them some kind of way to store heavy bags for a few hours, I think the mid-range hotels that cater to business travellers and inexpensive vacation trippers — think visits to family or to friends who don’t have guest rooms — will be in real trouble in a few more years.